The 13 finalists announced on 9 November 2011, were selected from more than 470 entries received from 82 countries are were said to represent the most innovative and promising solutions from around the globe that are transforming the field of health. Finalists were selected by the competition’s panel of expert judges, which included Aman Bhandari of the U.S. Department of Health and Human Services, Carol A. Dahl, executive director of The Lemelson Foundation, and Andreas Barner, Chairman of the Board of Managing Directors for Boehringer Ingelheim. After the announcement of the finalists, the public were asked to vote. It was a great achievement to reach the final and given the thousands of committed supporters ColaLife has online I thought we were in a good position to win. I want to thank everyone who voted and campaigned on our behalf and apologies to those of you I pestered just a bit too much! The award comes with a prize of $10,000 (US). This represents unrestricted funding for us which means we can spend it how we like. 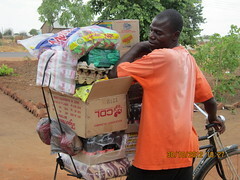 Although we have just been successful raising £840,000 for the trial in Zambia, this can only be spent on the trial. It cost time and money to put the plan together and this is what we need unrestricted funding for to enable us to keep the momentum going and raise the necessary ‘project’ funding to generate activity on the ground. This prize money will help build a firmer foundation for future ColaLife developments. Of course the other thing that comes with an award like this is credibility. 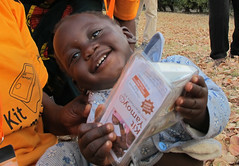 In the award process ColaLife has been scrutinised by a small army of experts and then voted for by the general public. What better endorsement can there be for what we are doing than that? Unite For Sight has provided eye care to more than 1.3 million people worldwide, including more than 49,000 sight-restoring surgeries for patients living in poverty. Unite For Sight believes in the social entrepreneurial vision and commitment of local medical professionals, and we develop a powerful synergy by harnessing the entrepreneurial talent of local healthcare leaders with support in the form of human and financial resources. Unite For Sight partners with local eye clinics to eliminate patient barriers to care and to provide consistent, quality, and sustainable eye care to patients in rural villages, slums, and refugee camps. Childhood illnesses among the poor occur within a larger socioeconomic context in which the conditions of poverty serve to instigate and perpetuate the symptoms of disease. Saúde Criança aims to break this persistent cycle of poverty and suffering by providing holistic support to families to address their total well-being, not merely their disease. This is achieved through a multidimensional action plan that addresses all the components necessary to achieve sustainable good health for the entire family, including support in health, housing, income generation, education, and citizenship. By lifting families out of poverty, Saúde Criança’s method represents true recovery for those who suffer. This is Jane and I looking very surprised (and delighted) to be online at all! Note the participants in the strip of images across the bottom of the screen. 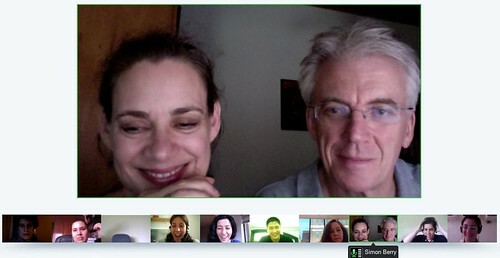 Google+ Hangout bringing together the MMHEALTH winners with the Ashoka team, 9am EST, 6 December 2011. Vera was changing seats with her colleague at the moment this screenshot was taken!